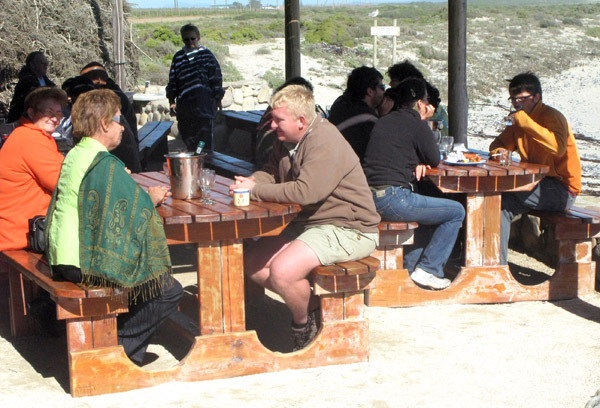 I had heard such bad reports about the camp-site at Elands Bay, which proved to be true, that I decided it would be best to take a day trip, look around and come back to Lamberts Bay for the night. 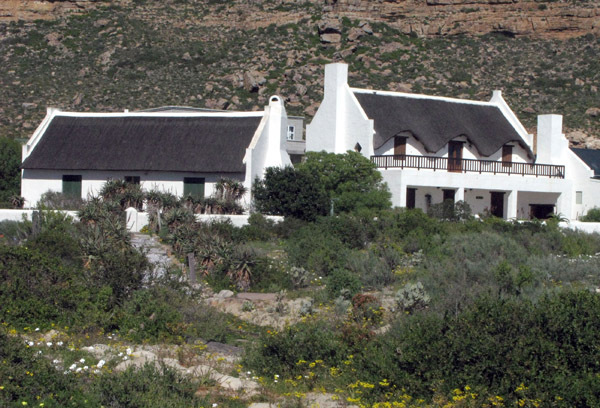 To be honest I think that out of all the places I have visited on this trip, with the exception of Kleinzee, Elands Bay has the most potential to become a great place to live and a great place as a holiday destination. 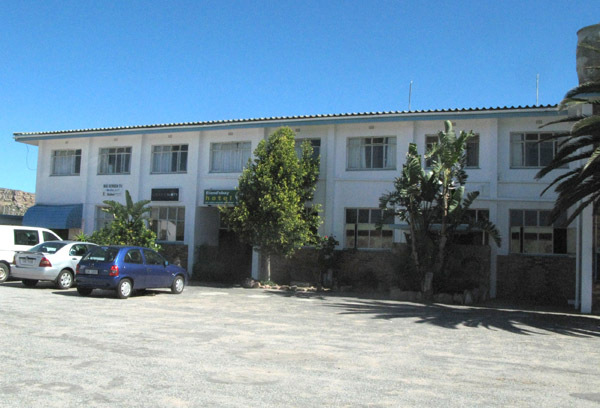 At the moment there are only 20 permanent residents in the town itself and close to a thousand non white residents who stray 1km from town at a place referred to as the camp. My previous post included the caravan park and unfortunately the village does not fare much better. There is a hotel, which did not look too bad, and I saw one restaurant and two small general dealers and that’s about it. 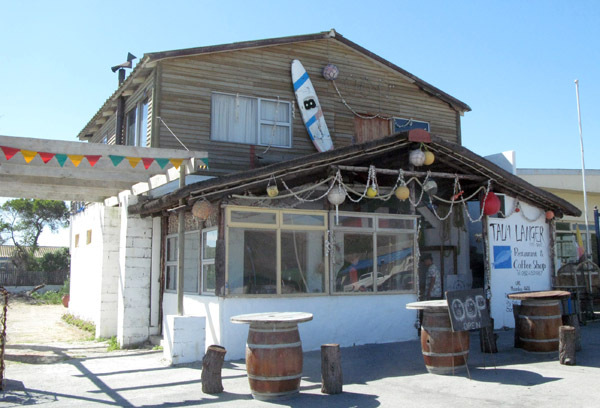 I stopped for a bite to eat at the restaurant and had a chat to the new owner, Frans, about what was going on in Elands Bay and why it is so run down. He told me that they have now established a committee to try and get things moving and to upgrade the town. They had a meeting and most of the role players in the area are pro doing something positive but there are one or two who are more than happy to keep things as they are. They just want their own little bit of paradise and to hell with everyone else. It is tailor made for them?? 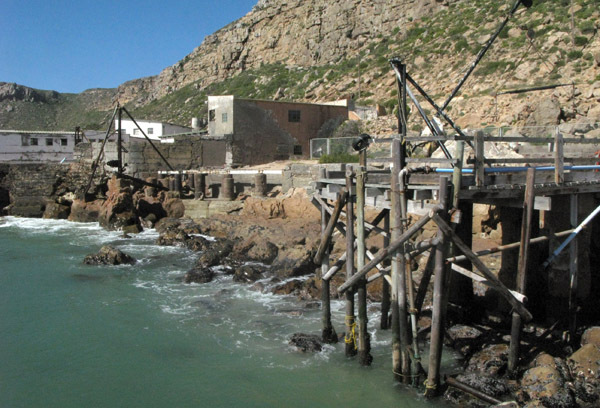 There were 7 working fish factories but there are now just 2 that still operate. There are some pretty good looking holiday homes. 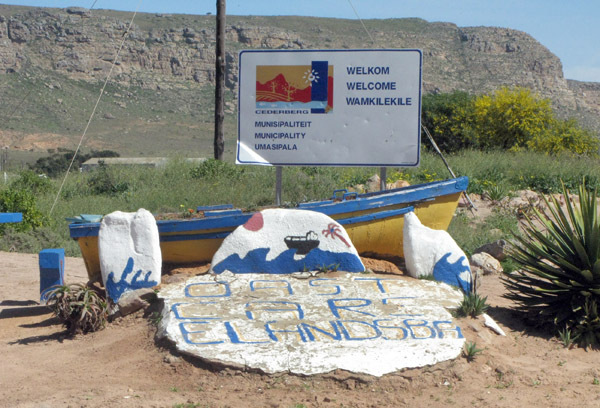 Elands Bay is renowned as a paradise for surfers – unfortunately there was not much happening on the surfing front that day – seafood, and birdwatching in the nearby Verlorenvlei which boasts over 180 bird species. 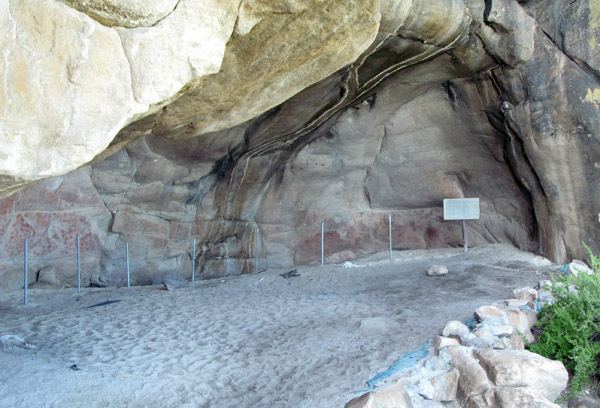 Caves in the vicinity of the town have produced valuable archaeological finds from the different inhabitants over time. A cave that is accessible to the public. 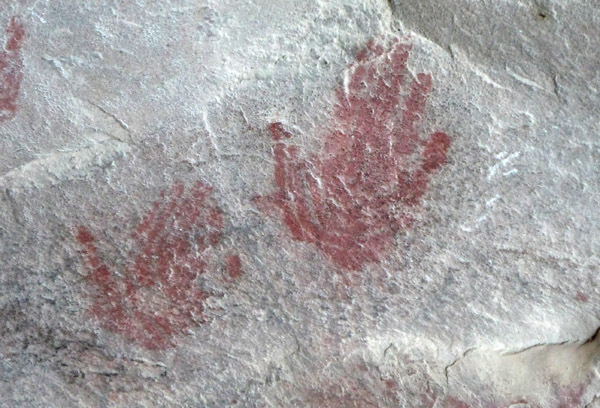 Ancient hand prints visible on the cave wall. Frans told me that there are other caves that are far better and they want to appoint an official tour guide to take people up to have a look. 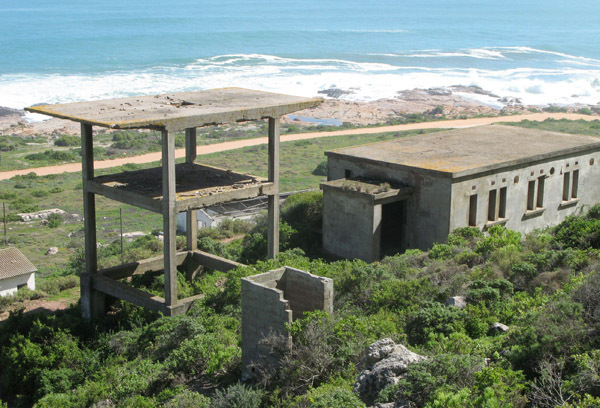 An old radar tower and barracks just below the cave. One of the pristine beaches just south of the town. 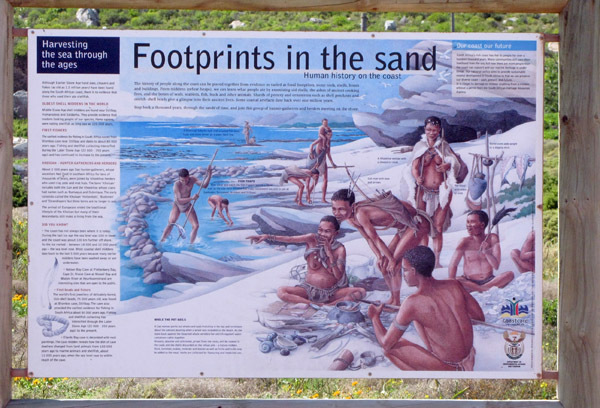 That was about all there was to see at Elands Bay so I headed back to Lamberts Bay on a different road and about 6 km’s from Lamberts came across this. 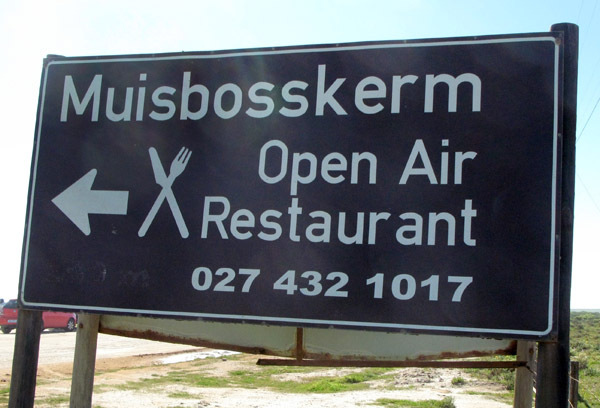 This is the original open air sea food restaurant and has been operating for over 23 years. Eat as much as you want!! 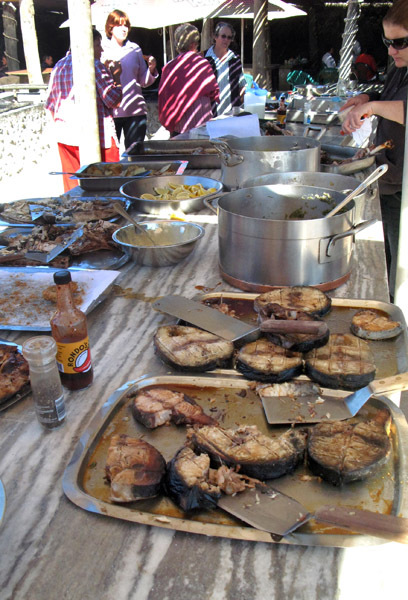 It was nearly 3pm by the time I got there but there were still plenty of people finishing off their lunch and it looked delicious.